"Wait. What? Jenn, for years you've been encouraging me to raise my rates. And now you're saying I should lower them?" Not exactly. Nine times out of ten, I'd still encourage the freelance writers I meet to raise their rates. But after doing some thorough and careful evaluation of my own rate experiments this year, I'm thinking about lowering mine, at least for a few project types. And I think it's important to look at legitimate cases for lowering your freelance rates so we can all make better, more informed decisions. Remember. Pricing is one of the fundamentals of marketing. And as such, testing and adaptation are vital. Let's explore some situations when lowering your freelance writing rates might be the smartest option, or at least something worth testing. 1. Your higher rates put you in a market you dislike working in. A point I've tried to drill in over the years is that you can't simply raise your rates and expect your existing clients to stick around. Raising your freelance writing fees will often mean moving into an entirely different market. There's nothing wrong with that. It's a reality if you want to grow in any freelance career. And it's a part of being able to adapt your marketing. But sometimes the new market isn't right for you despite the higher rates. For example, you might be a professional blogger making $100-200 per post, writing in a particular niche you love. Raising your rates to the $300-400 range might open doors with larger clients. But it might be work you don't enjoy -- such as writing more technical content than you're used to. If you hate the work you're able to get at your higher rate, you don't have to stick with it. Maybe your old rate was already the top rate in your ideal target market. That's why it's important to know what target market you want to work with up front. You need to tailor rates to them as much as your rates need to be tailored to your own financial goals. This happened to me when I raised rates this year. I've always preferred working with small businesses (mostly online businesses) and independent professionals. At the start of the year, a 1000 word blog post would cost somewhere in the $400-500 range for posts in my specialty area, and more for longer content. Those posts were a mix of tutorial-style posts and opinion / commentary posts -- both of which I love writing. When I raised rates this year, I bumped posts of that length up to around $600. It's not a huge difference once you're in that general range. But it did drastically change the type of prospects who were finding me online and looking to hire me. Instead of hearing from the smaller and mid-sized online businesses I loved working with, I started hearing more from corporate clients. This isn't my ideal market, and the work expectations can be drastically different. For example, I used to have much more freedom in choosing what to write about and how to approach each topic. I was brought in because of my expertise in certain areas, so clients put a lot of trust in me to make the right calls. With larger clients willing to spend even more, they tended to have more rigid plans and expectations, leaving very little flexibility. And, as with many corporate blogging jobs, I wouldn't even get a byline in most cases. Bloggers are brought in to write on behalf of the company or management, and it's often your job to simply take their talking points and turn them into articles. That's fine if you love that kind of work or if the pay increase is big enough to make you prefer it over work you enjoy more. That wasn't the case for me. 2. The higher project rate doesn't equal a higher hourly rate. Even worse than me not enjoying larger corporate writing work as much, these clients tended to have a hierarchy that could be difficult to work with. It's a "too many cooks in the kitchen" situation. And while it helps to have what Lori Widmer likes to call a "no posse clause," where you only take feedback from one contact person, it's not always enough. Sometimes you don't get feedback and edit requests from third parties, but your contact person does and then passes them along as their own suggestions. This happens when you have a point person who needs approval from parties X, Y, and Z. This doesn't happen much with smaller businesses because you'll often work with the owners -- the people in a position to make direct decisions. But with corporate clients the approval hierarchies are more typical. And it's frustrating. And it's time-consuming. With me, they're still limited to the same number of edit requests before they get charged more. But I've gotten much more pushback on the edit limitations from larger companies where my contact person has to answer to others than I ever did from smaller businesses. This has largely been an issue of different people having different ideas of what the end product should look like. And if they don't communicate that effectively to the person managing the project and directly working with me, it can lead to confusion and eventually scope creep. Overall, it's nice being paid more on a per project basis. But these projects frequently took more time partly because of office politics and partly because I didn't enjoy the work as much. While I could hit my target hourly rate, there wasn't a reliable increase, which is the point of raising your rates. And if you can make as much per hour by charging less per project and taking on gigs you enjoy, then that's the sensible choice. It's all about finding balance. You have to look at your rates not just on a project basis, but also an hourly basis. And you have to balance that with workflow changes that can come with changing target markets. Sometimes it's best to stick with the higher rates. And sometimes you're better off lowering them. 3. Your higher rates were just an experiment. Like I mentioned earlier in this post, pricing is a key component of any marketing plan. And that means it should be subjected to testing just like any other part of your marketing strategy. If you raise your rates on new clients as a test, but things don't work out as you'd hoped, you shouldn't be afraid to tweak things further even if that means lowering rates again. And keep in mind that lowering rates doesn't necessarily mean you have to lower them back to their previous levels. Sometimes a middle ground rate is best. Project rates aren't always directly comparable when working with different markets. And sometimes your testing will demonstrate that. If you end up in a position like mine where the target market changed drastically to accommodate the higher rates, and you aren't happy about it, you can always revert to a lower rate and experiment with other things. For example, you might keep the lower rates but try targeting a different niche or industry without completely overhauling the type of clients you work with. While there are legitimate reasons to lower your freelance writing rates, please don't rush into this decision. It's not a panacea for your freelance woes. And taking this move lightly can lead to more problems than it might otherwise resolve. So what? You don't know the exact markets they're targeting, how desperate they might be, what they might be lacking and trying to compensate for, or what their target hourly rates even are. Again, so what? You shouldn't expect any client to stick around forever. Eventually your rates will go up as your experience increases, and that will price you out of some clients' budgets. It happens. If they can't afford you, refer them to a newer writer and move on, or offer to tweak the scope of their projects so your work fits within their lower budget. Your first move should be to improve your marketing. And marketing on price doesn't make sense in freelancing. Reevaluate your target market. Put yourself out there more. Reach out to more prospects. Look to increase demand in other ways before assuming pricing is the problem. If you need money quickly and you feel lowering prices is the only option, market it as a limited time sale, and stick to it. Make sure new clients know what your real rates are, and make sure they understand their rates will increase on subsequent projects. No, they're not. They're simply working in different markets than you are. So stop making excuses and looking for someone else to blame and figure out why you aren't reaching your goals. Then make changes to improve the situation, whether that means adjusting your target market or changing your general marketing strategy. Adaptation is a part of the game. So, they can't afford you. And it's easier for them to insult you by saying you're not worth what you're charging than it is for them to admit they're cheap or can't afford to hire a pro. Not your problem. Keep your focus on the prospects and clients who do value you enough to pay your rates, and forget about everyone else. 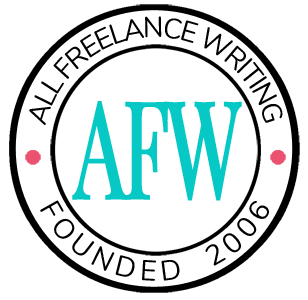 Have you ever lowered your freelance writing rates? Why, and do you wish you'd done anything differently? Can you think of other situations where lowering your freelance rates might be the smartest thing to do? Share your thoughts in the comments. Are you a new freelancer and you're still trying to figure out your earnings goals? Try my freelance hourly rate calculator. It helps you calculate the minimum hourly rate you need to charge to cover everything from your business expenses and home expenses to your vacation time, savings goals, and desired benefits. You can easily adapt this hourly goal into project rates for quotes. Don't forget to increase your goals beyond the calculated minimum if you have experience or credentials that justify it. Jenn, I’ll occasionally accept a lower rate if it’s a project I’ll truly enjoy. Often I’ll actually get the work done faster than usual because I’m so engrossed in it. Then the rate winds up being close to normal. Excellent post Jenn, with some great insights. Most of my clients are longterm, so I don’t need to think about fees too often. I know what you mean about higher rates sometimes not being worth it however. I did a big newsletter for several years. The project paid very well, but the stress was horrible. I learned a lesson from that: never allow one client to form such a major part of your business that you’d feel it if they left. That convinced me that I really didn’t want to focus on custom publications, except as a sub-contractor. Amen to that Angela! Relying on any particular client too heavily is always a dangerous move. And you make a good point about subcontracting. I’ve had very different experiences working with clients through their marketing, SEO, or PR firms. It means someone else gets to deal with the company politics and (dis)organization and I can focus on the project. Plus, it gives you a bit of a buffer when bigger clients decide to get revision-happy because different people decide they want different things. Then if they insist on making more than two rounds of changes, my extra fee comes out of the middleman’s earnings on the project (who my contract would be with), and they can decide whether or not to fight with the end client to recover it. It’s much less stressful, and I see a much better return on the time put in. One of the reasons I love your blog so much is you’re willing to examine issues like this & be flexible. Most other blogs for freelance writers proclaim that you should ALWAYS or NEVER do certain things (get a contract, work for content mills), without considering that nothing’s black and white. And with freelancing, especially, there’s no one right way to do it! Now I’m thinking about doing a pricing experiment myself. When you testing raising your rates for new clients, did you post the new rates on your website? And yes. When I raise rates on new clients, I put those rates on my website. It’s much better to have an older client see higher rates there and feel like they’re getting a discount when I don’t raise theirs right away than to have a new prospect see lower rates and then be shocked when they get a higher quote. If you’re uncomfortable with that, another option is to post a rate range that includes both your old rates and new rates so every quote is technically covered by what you’re advertising. Fantastic piece! No one really talks about this, so I’m glad you’ve pointed it out. I especially love that you’ve said that a higher paying market isn’t for everyone. I personally like working for smaller businesses, and I work for some “move up mills” that I really love. I really, really appreciate that you’ve said it’s not always worth it to raise your rates if it means you’ll end up in a market you don’t enjoy. Great post Jenn, and certainly something to think about! I charge per project based around my target hourly rate, it all depends on the topic and my familiarity with it. For example, I have certain clients who pay me less per blog post than others, but I end up with the same hourly rate (I’ve got very good at estimating the time it takes to write a certain piece!). That’s one reason why I still haven’t put my rates on my website – sorry ;). My first time here and wow, a memorable one! As an aspiring writer, I am always looking for more advantages and tips on how to become more effective and efficient at what I do .. again thanks for sharing!